Jim Bates, DDS, MD, Board Certified Oral & Maxillofacial Surgeon in Dallas TX: Jim Bates D.D.S., M.D. 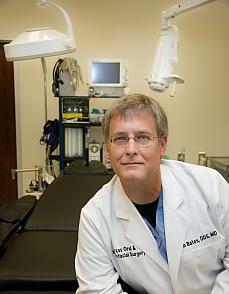 Dr. Jim Bates hails from Lubbock, Texas, where he attended Texas Tech University as an undergraduate. He subsequently graduated with honors from both the University of Texas Dental Branch at Houston, where he received the doctor of dental surgery (D.D.S.) degree, and from Texas Tech University School of Medicine, where he received the doctor of medicine (M.D.) degree. Dr. Bates completed his postgraduate residency training in oral and maxillofacial surgery at The University of Texas Health Science Center at Houston, and received an additional year of training in surgery at Baylor University Medical Center. Dr. Bates is Certified as a Diplomate of the American Board of Oral and Maxillofacial Surgery. In addition, he has served on the faculty of The Texas A&M University System Health Science Center, Baylor College of Dentistry as a Clinical Associate Professor in the Department of Oral and Maxillofacial Surgery, and is active in many professional and civic organizations. In addition to receiving several professional honors, he is often asked to lecture on new horizons in his specialty. Dr. Bates and his staff are committed to providing the highest quality health care possible for their patients. James Douglas Bates, D.D.S., M.D. Texas Oral and Maxillofacial Surgery, P.A. President, North Texas Society of Oral and Maxillofacial Surgeons, 1997-1998. Chairman, Subcommittee on Patient Assessment, Committee on Parameters of Care, American Association of Oral and Maxillofacial Surgeons, 1993-2003. Multimedia Task Force / Interest Group, Baylor College of Dentistry, 1995. Dean's Task Force on Managed Care, Baylor College of Dentistry, 1994. Chairman, Peer Review Committee, Dallas County Dental Society, 1990-1993. Chairman, Election Tellers Committee, Dallas County Dental Society, 1989-1990. Chairman, Oral Surgery Section, Dallas Mid-Winter Dental Clinic, 1991. Delegate, Texas Dental Association, 1991, 1992, 1993, 1994. Director, Lakewood Chamber of Commerce, 1990-1992. "The Extraction Debate of 1911." The New Dentist, January, 1980; Volume 10, Number 5, pp. 36-7. "The Calcifying Epithelial Odontogenic Cyst: A Review of the Literature and Case Report." Unpublished, 1980. "A Modified Approach to the Surgical Correction of Chin Deformities." Wolford, L.M., Bates, J.D., Oral Surg., Oral Med., Oral Path., September, 1988; Volume 66, Number 3, pp. 279-286. "Reconstruction of the Maxilla and Mandible with Osteointegrated Implants", Bates, J.D., Chiles, D.G., Higginbottom, F.L., Baylor University Medical Center Proceedings, January, 1990; Volume 3, Number 1, pp. 29-37. "Medicolegal Aspects of Record-Keeping", in Oral and Maxillofacial Surgery Clinics of North America, W. B. Saunders Co., Vol. 7, No. 4, Chapter 11, pp. 703-711; November, 1995. "Current Status of Alternative Implant Systems", in the AAOMS Knowledge Update, Volume II, J. Piecuch, ed., September, 1998. "Predicting lower lip and chin response to mandibular advancement and genioplasty." Veltkamp T, Buschang PH, English JD, Bates JD, Schow SS. Am J Orthod Dentofacial Orthop. 2002 Dec; 1222(6): 627-634. "Direct Sagittal Plane Computed Tomography of the Temporomandibular Joint: A Comparison with Standard Arthrotomography"
"Neurologic Evaluation of the Maxillofacial Trauma Patient"
"Medical Evaluation of the Implant Patient"
"Concomitant Injuries in Facial Trauma"
"Osteointegrated Implants; The IMZ System"
"Emergencies in the Dental Office"
"Complications of Osteointegrated Implant Surgery"
"Third Molar Surgery for the General Practitioner"
"Arthroscopy of the Temporomandibular Joint"
"Arthroscopy and Imaging of the Temporomandibular Joint"
"New Horizons in Oral and Maxillofacial Surgery"
"Temporomandibular Joint Function and Clinical Anatomy"
"Evaluation of the Medical History"
"Ketorolac tromethamine for Postoperative Analgesia"
"Ketorolac tromethamine as a Postoperative Oral Analgesic"
"Advanced Computer Applications in Oral and Maxillofacial Surgery"
"New Horizons in Oral and Maxillofacial Surgery: Orthognathic, Reconstructive, and Temporomandibular Joint Surgery"
"Information Technology for Computer-Based Presentations in Graduate Education"
"Update in Oral and Maxillofacial Surgery"
Advanced Computer Applications in Oral and Maxillofacial Surgery"
"New Concepts in Orthognathic Surgery"
"Successful Internet Marketing of the Oral and Maxillofacial Surgery Practice"
"Distraction Osteogenesis: New Approaches for Mandibular Augmentation". The Challenge of Excellence Study Club, Dallas, Texas, August 29, 2001. "Platelet-Rich Plasma in Subantral Bone Graft Augmentation". The Challenge of Excellence Study Club, Dallas, Texas, August 29, 2001. "Temporomandibular Disorders: Pathophysiology, Medical and Surgical Management". The Challenge of Excellence Study Club, Dallas, Texas, April 4, 2003. "Management of the Orthognathic Surgery Patient in the Contemporary Oral and Maxillofacial Surgery Practice". Department of Oral and Maxillofacial Surgery, The University of Texas Southwestern Medical School, Dallas, Texas, June 11, 2003. "Contemporary Surgical Management of Obstructive Sleep Apnea." Sleep Medicine Associates of Texas, Grand Rounds, Dallas, Texas. April 12, 2007. "Contemporary Surgical Management of Obstructive Sleep Apnea." Sleep Medicine Associates of Texas, Grand Rounds, Dallas, Texas. April 16, 2009. "Contemporary Surgical Management of Obstructive Sleep Apnea." Texas Pulmonary Sleep Center, Arlington, Texas. October 21, 2010. "Contemporary Surgical Management of Obstructive Sleep Apnea." Texas Neurology Sleep Disorders Center, Dallas, Texas. October 29, 2010.